With knowledge and experience exceeding 30 years, Custom Interior Improvements will provide you with exceptional service, product and installation. We specialize in Frameless and Semi Frameless shower screens designed to suit your individual taste and requirements, all you need to do is call Cii and we will take care of the rest. 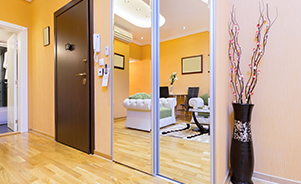 Modern, practical and space efficient sliding robe doors are the key to spacial problems. Whether you want your robe doors to stand out as a feature or blend into your paint work, Cii has the solution for you. 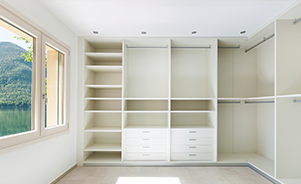 Whether you’re dreaming of a luxurious walk in wardrobe, a functional and practical children’s wardrobe or just a space for more storage, Cii can help design your ideal space. With design and building experience, your idea can become a reality. 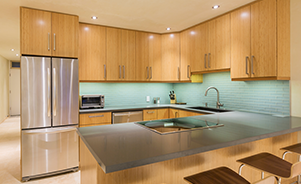 An alternative to tiles, kitchen splash backs are easy to clean, maintain and bring a modern touch to your kitchen. Simply choose your colour or open up the kitchen with mirror.